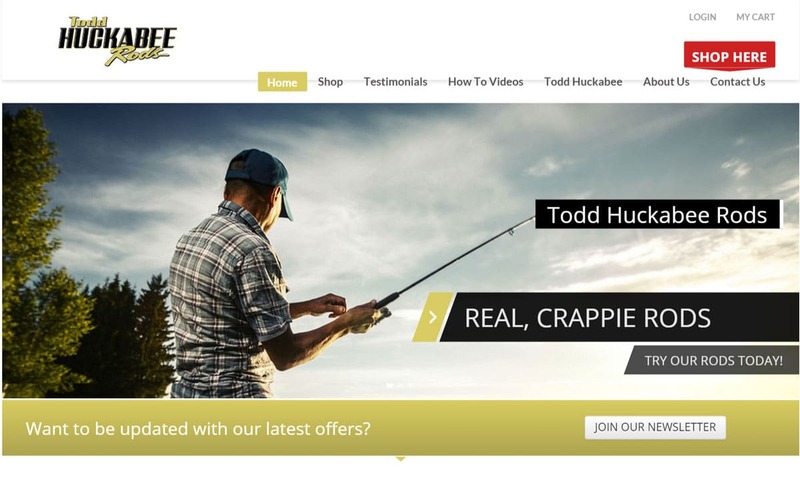 Todd Huckabee is a name every crappie fisherman knows throughout the country. He is one of the most popular from his published works to videos that not only show his vertical jig fishing skills, but teaches beginners that aspire to be as good as he his. Todd operates a professional guide service primarily on Lake Eufaula and Fort Gibson in Oklahoma. Todd enjoys teaching jig fishing almost as much as he enjoys catching fish himself. His signature series rods enables seasoned crappie fishermen and beginners alike the chance to catch the fish of their life and to Feel the Thump like never before.